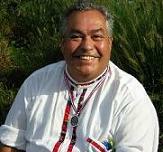 Alejandro Rual Mujica-Olea, was born in Santiago, Chile on August 8, 1947. In Chile Alejandro became, secretary of Aldermen for the City of Maipú, political advisor and public employee of the Ministry of Public Works. He came to Canada as a political refugee in 1975, and became a Canadian citizen in Alberta in 1980. He now lives in New Westminster, BC. He started writing at the age of twelve for a Catholic newspaper. On seeing the injustices that the working class suffered, he began protesting the conditions of the poor. He was not aware then that he was forming his political ideas at this young age. In 1973, after the death of President Salvador Allende Gossens, and the assassination of thousands of people, military rule was established in his country. Alejandro was arrested, tortured, imprisoned and sentenced to eight years in jail. He spent two years behind bars. In a search of the jail, carried out by the special secret police, his writings were ordered to be burned, and as a result of this Alejandro and many other political prisoners lost a piece of themselves. With the help of the Red Cross, The Catholic Church, Amnesty International, and the Government of Canada, one hundred political prisoners were brought to Canada, and Alejandro became a political refugee in Edmonton. Life was very difficult for him and his family. He is now divorced. He subsequently developed a fatal type of cancer. Today he keeps himself alive, thanks to treatment, vitamins and a vegetarian diet. Alejandro has completed five books of poetry, two of which have been translated into English. His poetry has been published in Nightline, Unicorns Be, Sigla, La Voz, Entrelineas, Voyage Prensa Latina, Horizontes and The New Orphic Review and has also been read over the radio of the University of Victoria and the University of Washington as well as the Co-op Radio in Vancouver. Alejandro’s poetry has received several awards in the United States and Canada. He co founder of “The World Poetry Series at the Vancouver Public Library and World Poetry Café a Radio Show on Co-op Radio 102.7 FM,” a multicultural venue, with more than 300 participating poets of all ethnic backgrounds. Poets read in their own native language and in English. Project Cultural South Vancouver, gave a Silver Medallion, “Gonzalo Cantón Santelices award” and “The Poet of the Year 2003.
a la bestia sin alma. y volver a la vida. de mis dos anos de prisi6n. No, yo no me arrepiento. y nos da la libertad. Con este poem a, gracias yo te doy. of the beast without a soul. not to die from the impact of burning lead. of my two years of prison. and gives us our liberty. With this poem, I give you thanks. Ariadne Sawyer, M.A. C. P., and the CEO of Peak Performance Plus Training. She specializes in creativity and performance training with a focus on: creative flow and excellence, media and self publicity and performance enhancement. She has worked with many writers and performers, some just starting out and others well known, from Canada, the US and Europe. 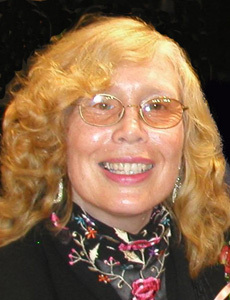 Ariadne specializes in brain research and creativity, using a wide range of tools and techniques to assist writers in reaching their goals. She is a Creative Consultant for the Film Industry. Books: Bits and Pieces, a collection, Post Polio Treatment, and is published in several anthologies. Tapes: Discover Your Creative Worlds. Finding Creative Flow, Creativity and the Brain, Poetic Healing and Harnessing the Critic with Bernice Lever, C. A. A. www.colourofwords.com, Creative Self Promotion. Ariadne is the co-founder and host of The World Poetry Reading Series, Radio Show, The World Poetry Electronic Newsletter and Poet’s World Night Out! World Poetry consists of over 500 poets, writers and musicians originally from 64countries including a strong Canadian component. A thief of time slips gently among the sleepers. Asking “Where have my years gone? They call, their voices ringing through space. How can we catch the thief of time? He slips invisible, unseen through the shadows of the night. His mocking laughter echoing across the void.